When it comes to Genesis themes, you can always be assured that nothing less than amazing will be released by the amazing designers who know how to design and develop exceptional themes that will have visitors excited and enjoying the experience. What makes a great theme is not necessarily the attractiveness or aesthetics. It’s the combination of a lot of things that have been studied by statisticians and top flight marketers over the years. It’s the understanding and application of smart design which means taking into account buyers’ impulse and placing the right buttons in the right places and ensuring important aspects of the design are most noticeable. Just as we always read left to right, visitors scan the homepage the same way. And marketers/designers realize that in order to get clicks, opt-ins, and purchases, buyers need to be comfortable and trusting of the site they’re on. Especially when the customer hasn’t developed a trust yet of the site owner or the site itself. 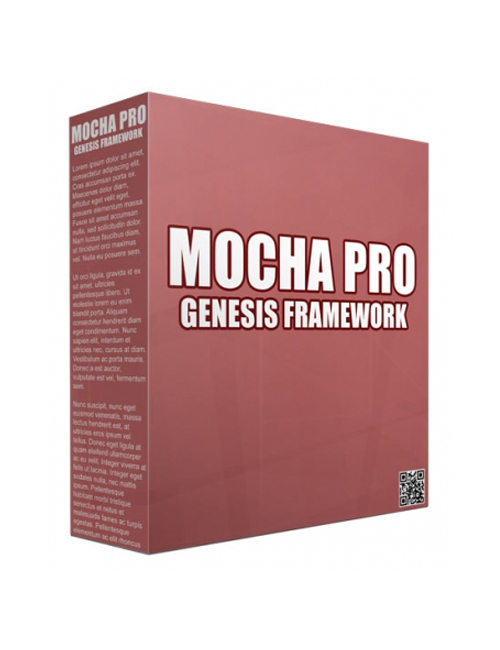 Mocha Pro brings lovely, stylish, and smart design effortlessly. There’s no overkill of imagery or underwhelming portions. Everything is refined and in place the way it should be to maximize your business prospects no matter what you’re selling. If you want pure professionalism, Mocha Pro is your calling. Grab it now.